Richard Douglas Philibert passed away on Thursday September 13, 2018 at the age of 49. Born on December 30, 1968 in New Orleans, LA. He attended Grace King High School. He is survived by his Father Richard Brian Philibert, brother Russell C. Philibert, sister Rebecca A. Philibert (Sal), children Ryan D. Philibert (daughter-in-law Danielle) and Raquel Philibert Cook, Granddaughter Julianna N. Caries, Stepmother Karen B. Philibert, stepbrothers Anthony V Musacchia (Sherri) and Vincent J. Musacchia (Nancy) Aunt Gayle Ledig Rupert, numerous nieces, nephews, and cousins. He is predeceased by his Mother Charlene Ledig Philibert, Grandparents Raymond A and Joy S. Philibert, Herschel C. Ledig and Audrey Ledig Staub, and Aunt Lynn L. Lawton. Owner of Computer Sales, Services & Networking. 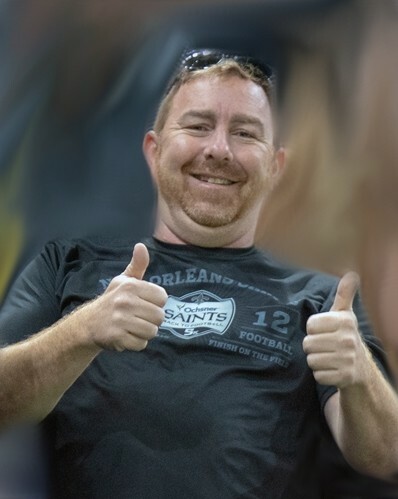 Doug was an avid fan of the New Orleans Saints and LSU Tigers. A member of New Orleans Hash House Harriers and WTF Cycling Club. He participated in various social and charitable triathlete events. He always carried an infectious smile and spirit. He was a wonderful son, father, brother, grandfather and friend and was loved by all that knew him. Thank you to his Doctors of the Heart Failure and Transplant Team, Nurses and Staff at Ochsner Medical Center, 6th Floor Cardiac Medical ICU for giving him wonderful and compassionate care as well as support to our family during this difficult time. Relatives and friends are invited to attend a Memorial Service at Greenwood Funeral Home, 5200 Canal Blvd, New Orleans, LA 70124 on Tuesday September 18, 2018. Visitation will begin at 11am and a Catholic Service to be held at 1pm, Burial to follow at Greenwood Cemetery. In Lieu of flowers please make donations to The Chad Barcia Athlete Awareness Foundation, 4425 Richland Ave. Metairie, LA 70002.